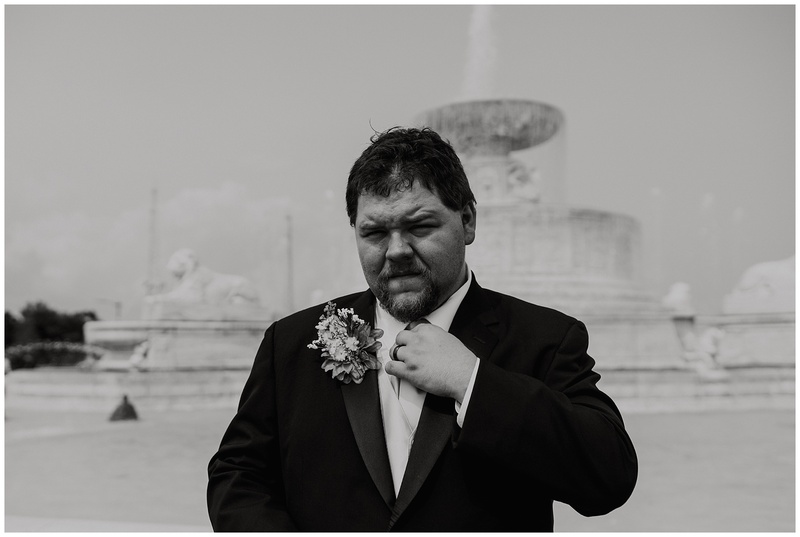 I say it a lot, but I do love a wedding that is different. That’s nothing against traditional weddings. I photograph those and love them too. 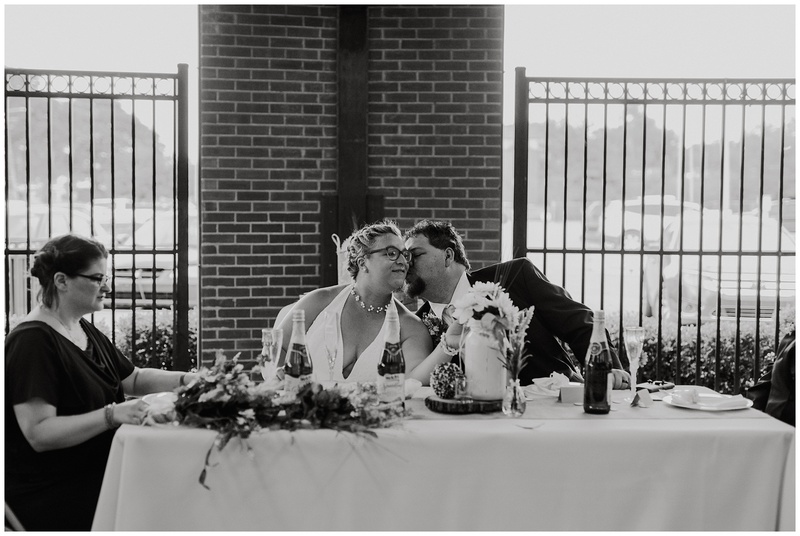 But I think anytime you can make your wedding your own and do things your way, that’s always the right thing to do. 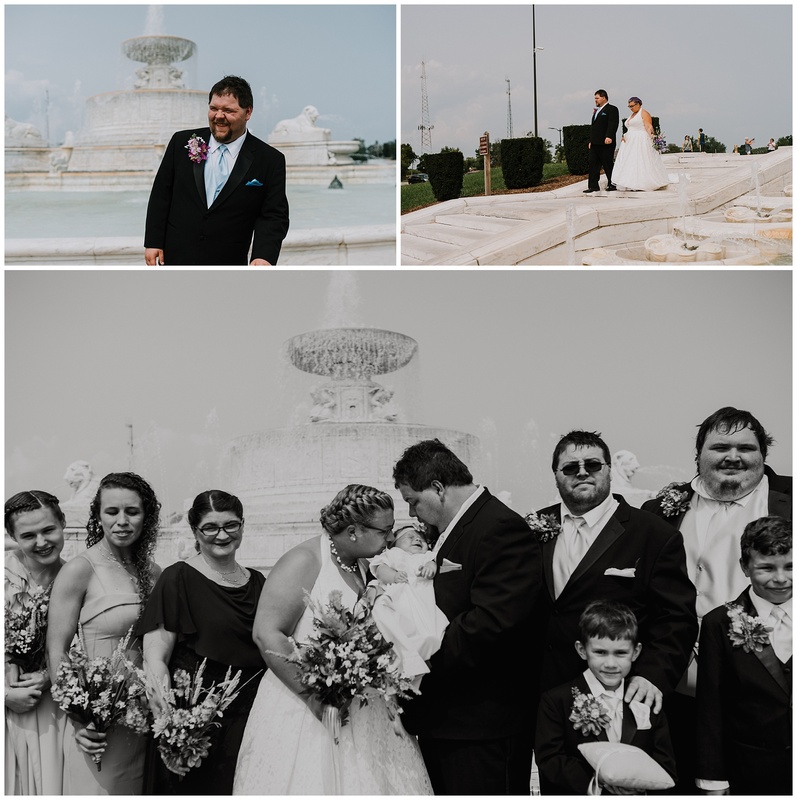 This was the case with Alisha and Joshua and their Belle Isle Fountain wedding. 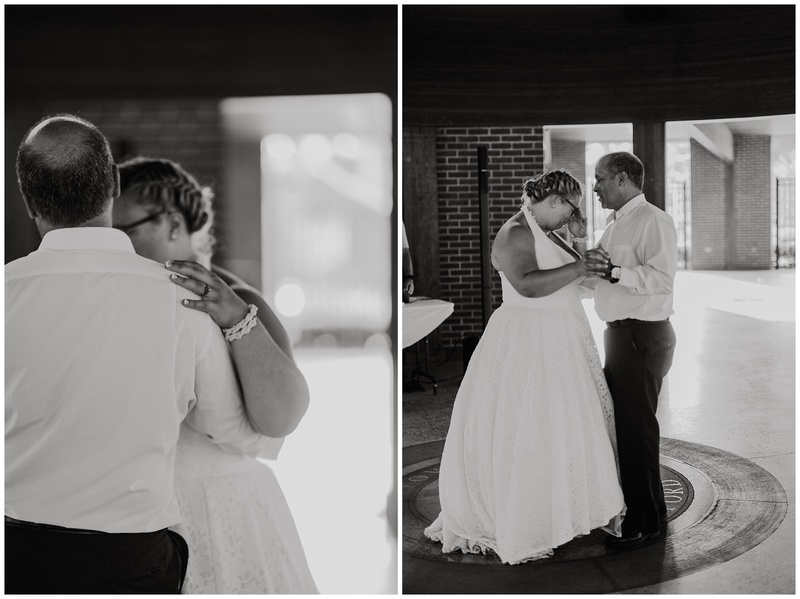 When I first met Alisha back in the fall of 2017, nearly a year before her wedding, I knew we would get along well. We had a great conversation about bucking traditions, feminism, etc. 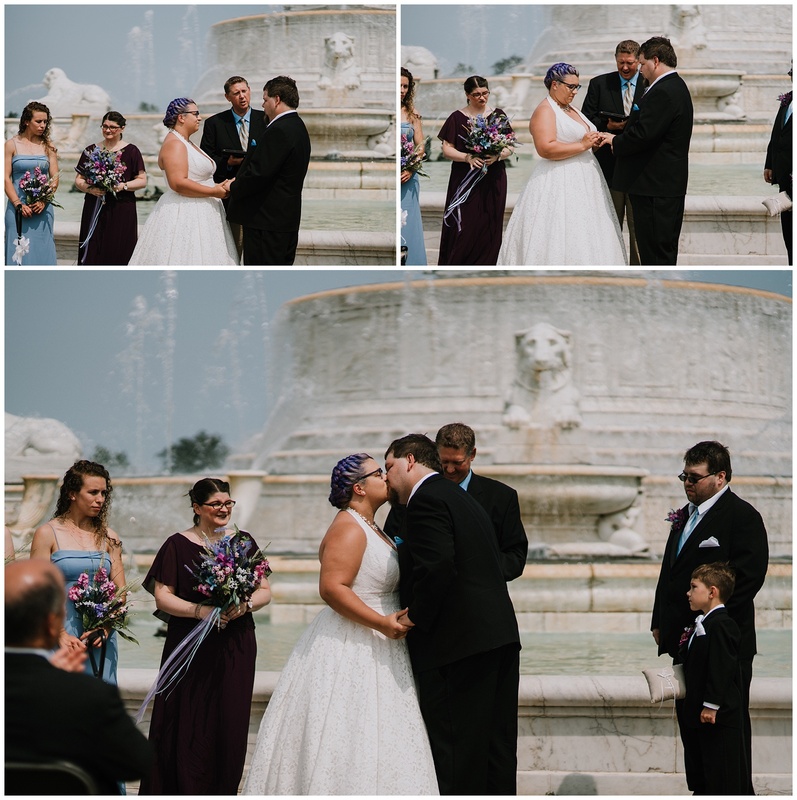 I walked away knowing I really wanted to be a part of their wedding. When you come home from a meeting like that, you just cross your fingers that you’ll get an email saying, let’s do this! And I did. This past May, Alisha and Josh welcomed a baby girl, Lydia. 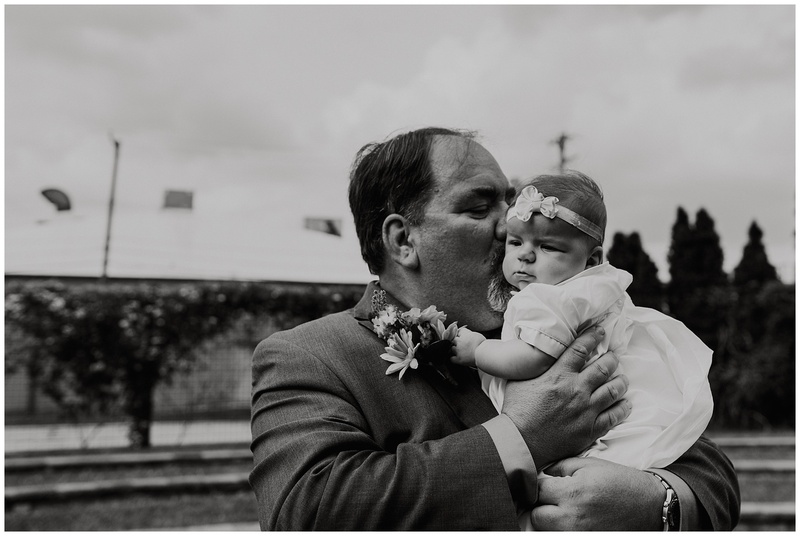 I was lucky enough to capture their newborn photos. 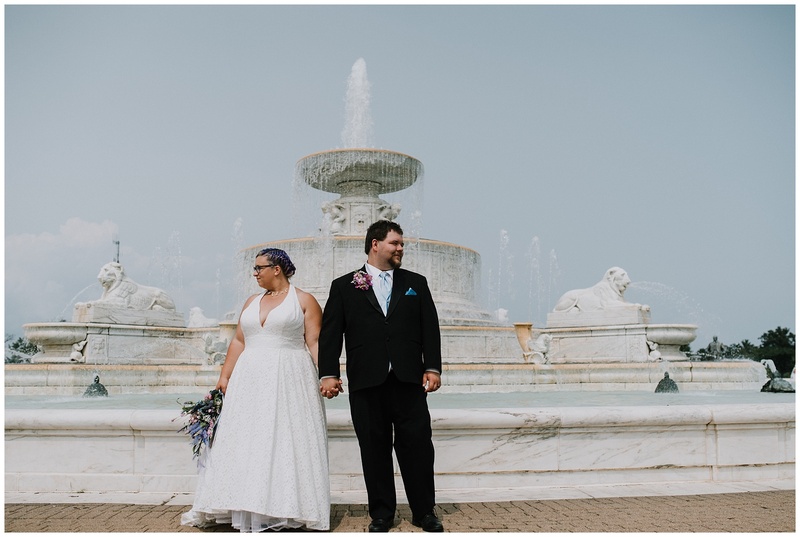 For their wedding, when I arrived, everyone was setting up chairs at the Belle Isle Fountain. 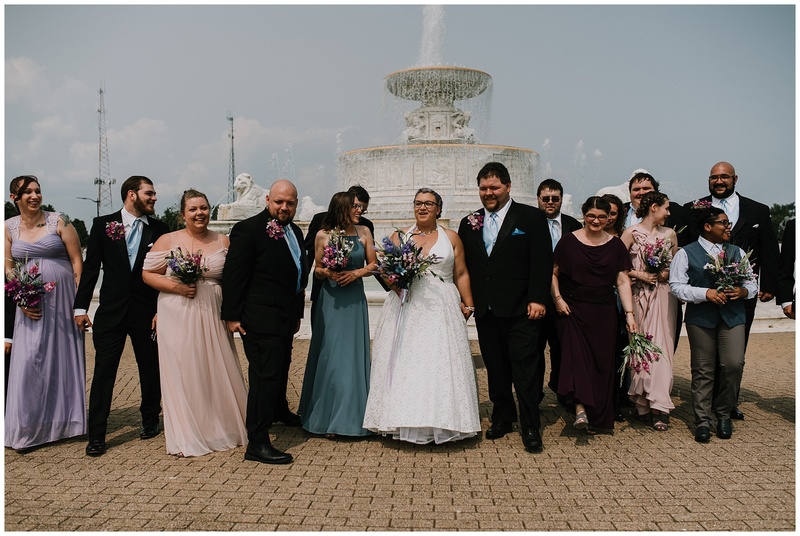 Organically, it all came together and Alisha rode in on a Harley Davison with Josh’s father, meeting her father at the steps to walk down the aisle. 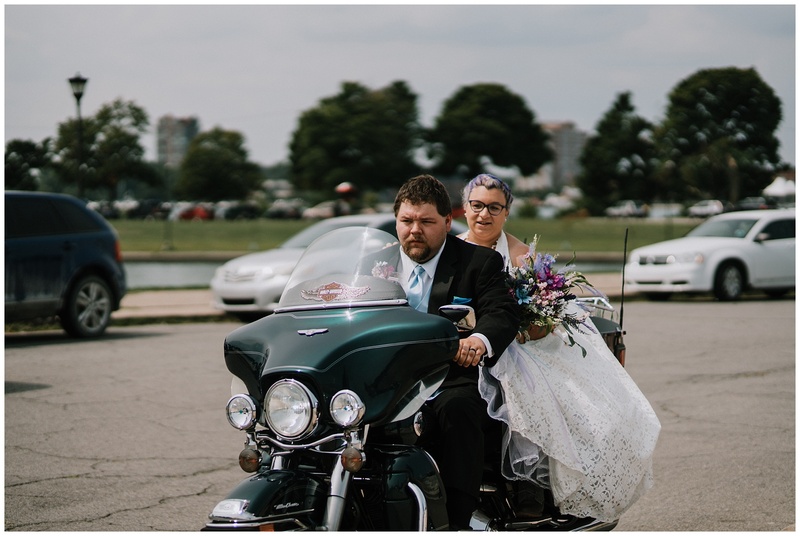 After a ceremony and vows, the pair rode off on the Harley together, all the way to the Redford Marquee. 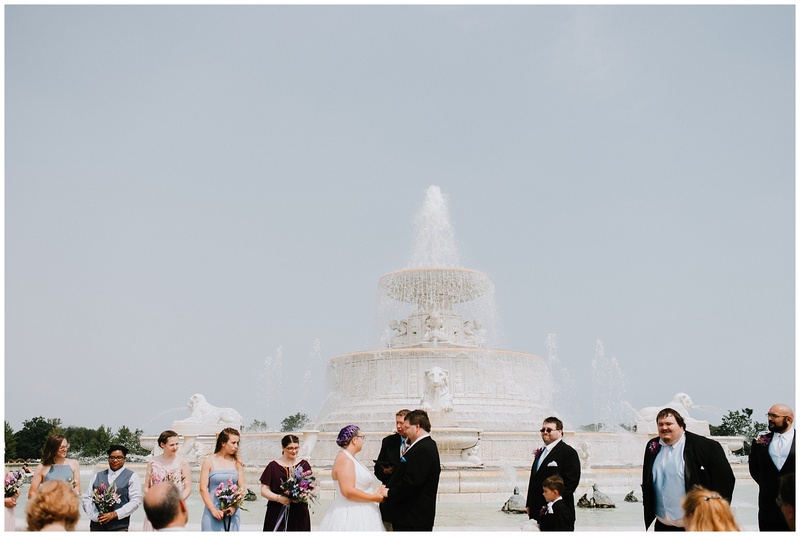 When I was getting married, I scoured the Metro Detroit area for wedding venues of all sorts. Anything that wasn’t your typical banquet hall was considered. I’d never heard of the Redford Marquee until Alisha had told me about it. It’s used as a farmer’s market, but also for events. 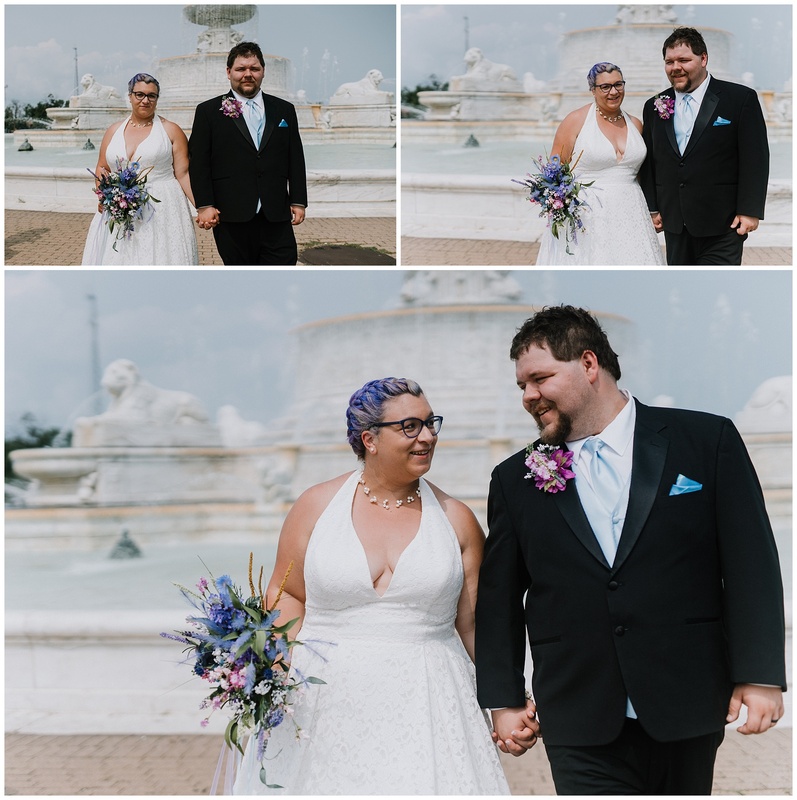 It was quite lovely for a summer wedding! 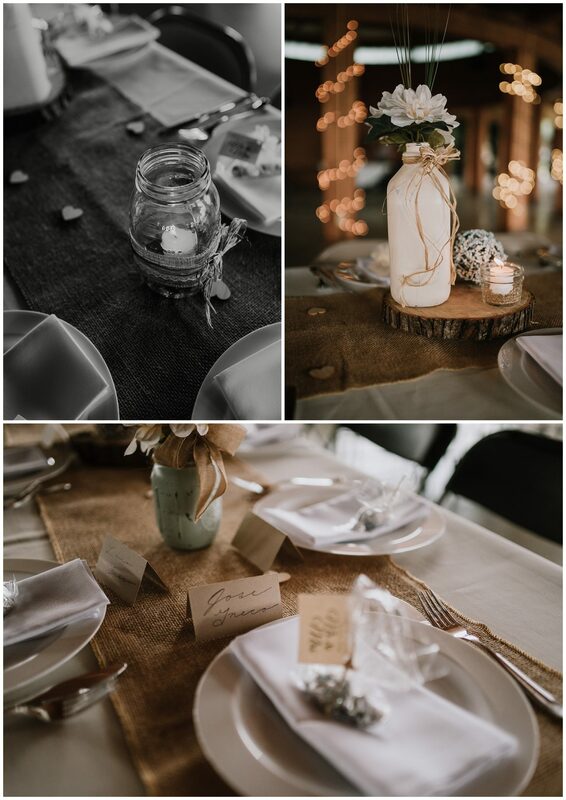 The place was decorated beautifully by their families. 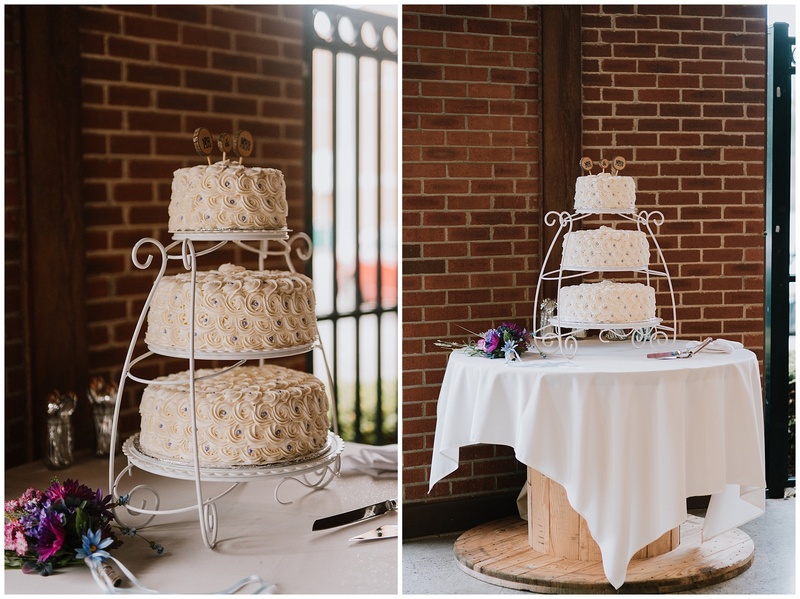 Look at the lettering on the signs…Alisha’s sister did that! So good! 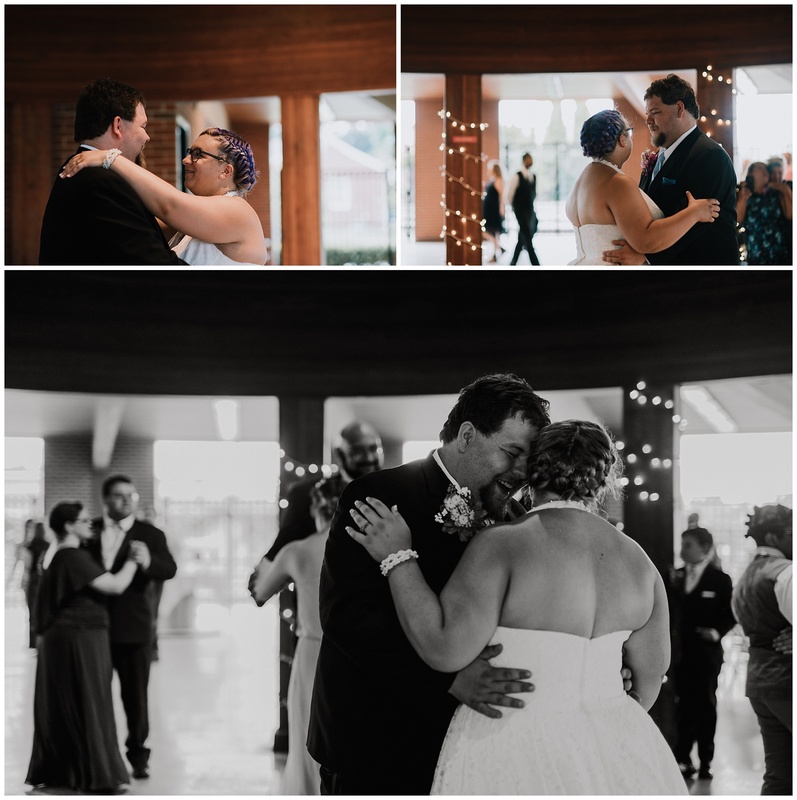 After a pig roast dinner, there was dancing and fun, and even a thunderstorm to complete the day.